Could you please introduce yourself and your current role? 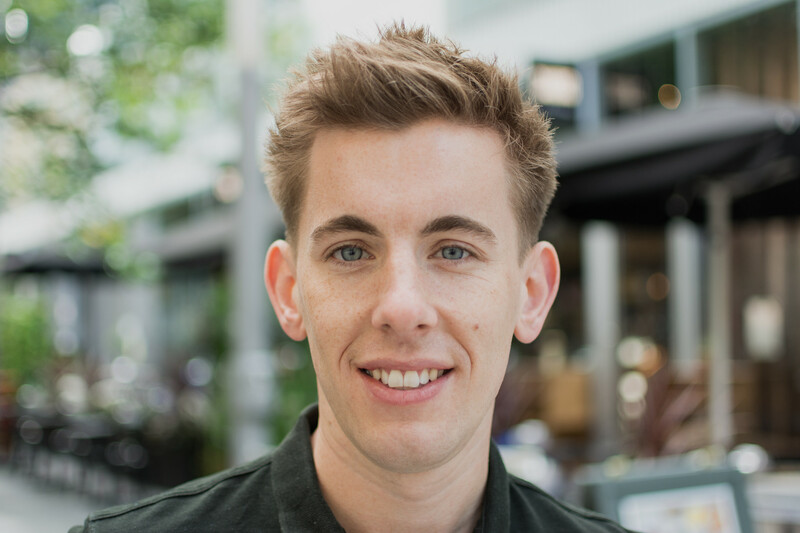 My name is Laurence Woollard, I am the founder and director of On The Pulse Consultancy. We are a relatively new start-up that provides independent expert patient insight into living with the rare bleeding disorder, haemophilia, to the UK healthcare sector with the aim to improve the patient and caregiver experience. On The Pulse stems from my own personal haemophilia ‘journey’, as you might say, where for a long time I was not as engaged with my condition or healthcare as one could have been. This is not to say I wasn’t adherent or strict with myself in terms of treatment and lifestyle choices but more that, did I truly understand what I needed and how to feel empowered enough to go get it? Becoming a volunteer initially with the patient organisation sparked a chain reaction of events that would change my outlook on living with haemophilia and being more informed and self-aware. It was through supporting and working for different organisations and initiatives in the haemophilia and wider rare disease space where I identified that I could use my voice to help shape and influence treatment and care for people like me. At the heart of everything I do is a genuine commitment to raise awareness and advocate for everybody affected by haemophilia and try to promote positive change in the community. Could please tell us about your condition and how it affects your life? Haemophilia is caused by a deficiency in one of the blood clotting factors, in my case factor VIII (known as Haemophilia A). Being an X-linked recessive condition, it is usually inherited. In my family, our mother carries the faulty gene, which was passed down from my affected grandad. With this history known, my two older brothers and I were each tested and diagnosed at birth, even with a 50% chance either way. This means I am prone to bleeding, either spontaneous or trauma, especially internally into my muscles and joints. Although my 3% clotting factor VIII level is clinically moderate (considering the normal range in non-haemophilia is typically from 50−150%), I have a severe phenotype, meaning my bleeding symptoms are like someone with levels below 1%. I have to infuse intravenously with replacement recombinant clotting factor concentrate on a prophylactic regime, currently every other day, which offers me increased protection. Growing up, I experienced some really challenging and painful bleeding episodes, often typified by progressive swelling, which occurred repeatedly mainly in my right ankle and elbow joints. This has significantly impacted on my physical health, with subsequent onset of joint disease – a hallmark of haemophilia – notably having my right ankle fused at aged just 16. The risk of bleeding is still a reality, however having an individualised treatment plan as well as support from a comprehensive specialist care team, allows me more freedom to make life choices unlike my grandad and his generation. What is your vision for the future of people living with haemophilia? For a rare disease that affects around 8,000 people in the UK, there is palpable excitement at the surge in interest and investment into research and development for haemophilia over recent years; geared towards offering us more protection, whilst lessening the burden of infusing or ultimately removing it all together! We already have extended half-life clotting factor products available here, whilst non-factor products and gene therapy are seemingly becoming a real possibility. Yet, if our present is to determine our future, then I am conscious that every effort must be made now to activate and inform each other, so we each have equal opportunity to access and receive optimal, bespoke treatment and care (albeit within system constraints) to prevent possible long-term complications. Furthermore, the ever-present generational legacy of contaminated blood products in the community proffers legitimate concerns of the safety and efficacy of innovative approaches. This needs translation and a degree of transparency for patients and caregivers to make informed decisions, if/when approved and licensed. The ‘utopian vision’ is unquestionably a life without bleeds. But it is said that out of the global population of people living with haemophilia, possibly as much as 75% remain undiagnosed and untreated or undertreated. On the one hand, it feels morally inexcusable to even be thinking about how a novel therapy might dramatically improve my circumstances when there is such a wide inequality gap. Then again, there is the hopeful sentiment expressed by Mark Skinner (former President of the World Federation of Hemophilia) whereby developing countries could potentially receive a one-off, high-tech intervention, thus avoiding long and costly medical provision. I do not know what this would take but it surely offers a glimmer of hope? What is your relationship with research/science? Do you contribute your data to any study/trial? If not, would you like to? Wearing my ‘patient hat’, every time I infuse or have a bleed, I am inadvertently contributing to data collection when inputting these details into a mobile tracking app. It can prove to be a valuable tool for both me and my specialist care team to keep record of and optimise my treatment regimen. I also understand this integrates with a national database for greater analysis of patient trends and outcomes to guide current and future clinical and policy decision-making. In an age where more information about our lives is being captured than ever before, the importance of this data being used ethically and for patient and caregiver benefit cannot be underestimated. In respect to data handling myself, I have been actively involved in recruiting for and conducting different quality of life research in haemophilia and other bleeding disorders with members of the community and healthcare professionals. The multifaceted nature and needs of our condition and the many aspects that can influence these over time, including mobility, mental wellbeing and education/employment, are vitally important to understand and address in order to drive meaningful patient and clinical outcomes. Being on ‘this side of the fence’, it has really made me appreciate those who are willing to give their time and have a say; such valuable insight and continued involvement is crucial to ensure greatest impact on changes that may affect all of us! World Federation of Hemophilia (October 2017) World Federation of Hemophilia Report On The Global Annual Survey 2016, http://www1.wfh.org/publications/files/pdf-1690.pdf: World Federation of Hemophilia.